If you bought cigarettes in New England in the mid-1990s, you might be due for some cash back. Marlboro has reached a settlement in a class-action lawsuit that was first brought against its parent company, Philip Morris USA, in 1998. 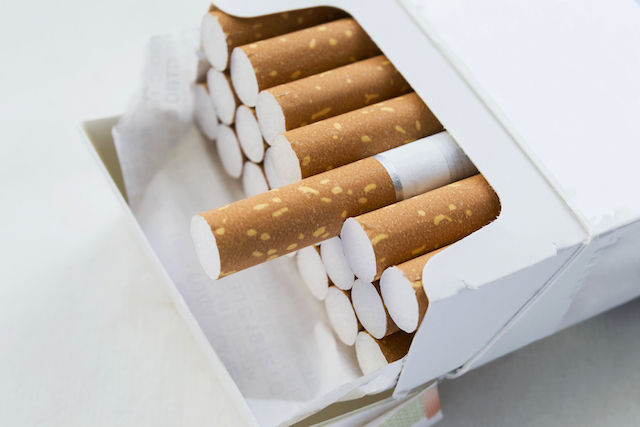 The suit accused the company of “falsely representing that Marlboro Lights were less harmful and delivered lower tar and nicotine than Regular Marlboros, when that was not the case,” the settlement website explains. At that time, Massachusetts consumer protection law forbade cigarette manufacturers from claiming light cigarettes were less harmful than regular ones. Who’s Eligible to File a Claim Against Philip Morris? If you lived in Massachusetts and bought Marlboro lights there between Nov. 25, 1994, and Nov. 25, 1998, you can file a claim. If you lived in Connecticut, Maine, New Hampshire, New York, Rhode Island or Vermont and regularly purchased Marlboro Lights in Massachusetts, you’re eligible, too. Philip Morris owes customers more than $15 million. Depending on the number of people who file claims, you’ll get a check for between $75 and $225. You must file your claim online or by mail by Nov. 28, 2016. You must provide the name of the city and state where you lived between 1994 and 1998, along with your date of birth. Your Turn: Will you file a claim against Philip Morris?